Navigate to the Insights dropdown > Data Sources and click the Add new data source button. Then in the data source selector window go to the Product category and select Jira from the list. Connection name - user friendly name of your Jira connection. 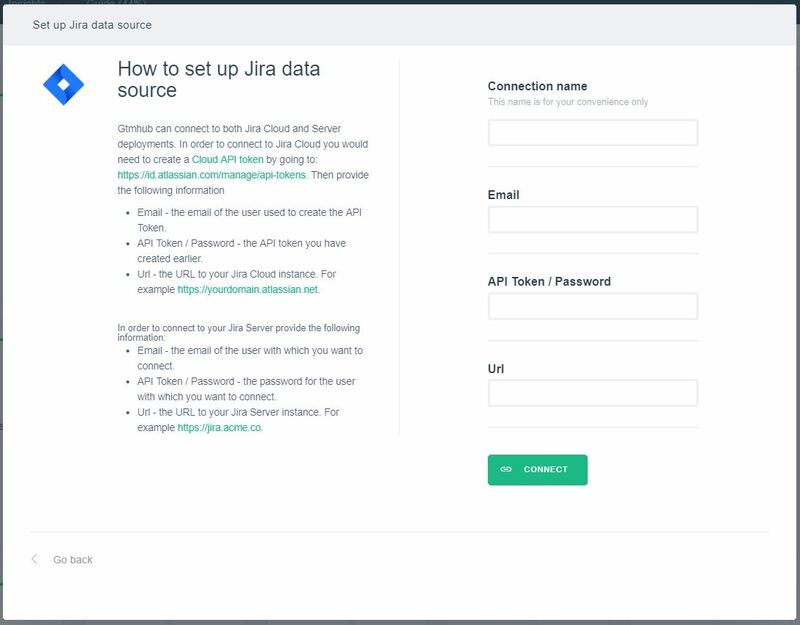 You can have multiple connections to different Jira instances. Username - this is the username with which you are going to connect to your Jira instance. The user should have sufficient privileges to read data from Jira such as Issues. The next step is to start syncing your Jira data and build insights to analyse it. 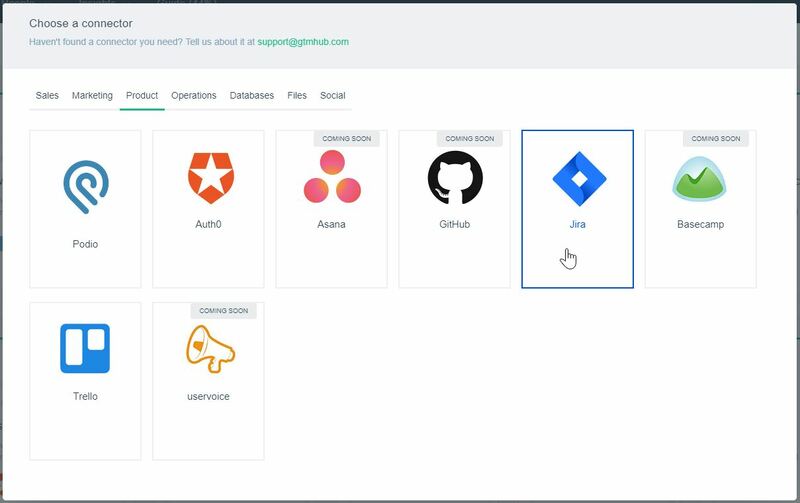 To find more about the Jira insights that are built in Gtmhub, check out this article: JIRA Insights.